Our range of products include copper diammonium edta. Owing to a long-term destination for our business, we are engaged in offering a wide gamut of Copper Diammonium EDTA that is used as chelating agent and plant nutrient. Our offered EDTA is processed using high-grade chemical compounds and progressive technology in adherence to industry norms. Moreover, this EDTA is packed with high precision so as to meet the demands of our clients. 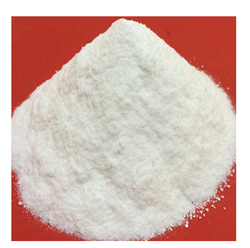 Looking for Copper Diammonium EDTA ?